Spiritual traditions like Buddhism speak of enlightenment as promising a state of wisdom, happiness and freedom from the troubles we usually have to deal with in life. So what actually is enlightenment? How can we understand what the term means? The word enlightenment obviously is based on the word ‘light’. So can we learn anything about enlightenment from what we know what is good about light? 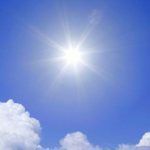 Sunlight, stimulates our bodies to manufacture vitamin D, it plays a major role in synchronising fundamental biochemical and hormonal rhythms of the body, affecting both physical and psychological well-being. Studies show that it relieves the depression of those suffering from seasonal affective disorder (SAD). Curiously, research has also found that light has an altruistic effect: for example it disposes people to be more helpful to a would-be interviewer and to leave a waitress more generous tips. When we go around in darkness without a torch we are confused and get lost. But light shows us the way. More generally, when we understand something we speak of seeing what is meant. The light dawned and I now understand. I hope to throw some light on these matters. So light seems to be pretty central to the issue of enlightenment. The Age of Enlightenment in the 18th century came to advance ideals like liberty, progress, tolerance, fraternity, constitutional government, and separation of church and state. This period is said to have brought in rational thought to challenge superstitious thinking. The leading thinkers of the time found logic and reason superior to traditional assumptions and beliefs. The ancient Egyptians saw Re, the sun god, as the supreme creator that sustained life. In the Rig Veda, the earliest of Hindu scriptures, the sun is described as ‘the atman – the Self – of all things’, the god of gods. This idea was in contrast to a literal-minded attitude about the sun. In other Hindu texts Krishna and Vishnu reveal themselves in flashes of dazzling light. The appearance of a succession of mystical coloured lights marks the stages of progression towards illumination in the yogic tradition. Light is a recurring theme in the Christian gospels. In a vision his followers said they saw Christ’s face shine like the sun and his clothes become white as light. The divine apparently was flowing strongly into him on that occasion. Amida, the Buddha of Infinite Light, is the central figure of a mystical tradition that ascribes great importance to the experience of the light that signifies encounter with ultimate reality. The symbolism of light is also conspicuous in other traditions including the Taoist, Zoroastrian, Islamic, and Jewish. The experience of enlightenment, according to Zen Buddhism, does not rely on argument or philosophical reasoning. Instead adherents assume it is a direct intuition of the mind. Everything is still what it was, except they see things with a new perspective. This means going beyond empty knowledge even about higher ideas, by noticing what is marvellous in the humdrum. One experiences an awakened awareness of timeless reality beyond the world of appearances. Having self-insight into one’s actual and potential nature. Contemporary research suggests that mystical experience still commonly contains the appearance of light; for example the experience of being bathed in light. The appearance of a being of light is also a common finding amongst those having ‘the near death experience’. The mystic Emanuel Swedenborg reports his vision of a spiritual sun. This non-physical sun he says represents the divine origin of wisdom. It’s rays of light illuminate the ideas we have picked up from around us so we see them with greater depth of perception. We often find heat and light together. And so Swedenborg says the visionary sun represents the divine origin of love as well as of wisdom. Similarly, the rays of the physical sun deliver heat as well as light. The spiritual sun enlightens what we see with our minds as well as warming the feelings our heart. Our interest in a subject makes it easier to understand. Love is quick to perceive. This raises the suggestion that wisdom comes not from knowledge alone but with the effort to do right with an earnest heart. If the sun seen in vision is spiritually real and not just a symbol then is Swedenborg correct in saying it is the origin of all clear thinking and warm affection? According to his writing what enlightened good we do is from our Divine Source. This Swedenborg calls the Lord, mystically acting in us and by us. We do not precisely know the details of Siddhartha Gautama who lived over two thousand years ago. And so the story of the Buddha’s enlightenment probably contains elements of folk history. Enlightenment transformed him after he sat meditating under the Bodhi tree. Swedenborg’s suggests however that enlightened understanding doesn’t all of a sudden come and stay all at once although there is gradual improvement as a person’s character improves. In other words the inner light comes and goes according to our varying spiritual states. Enlightenment according to him is basically when we fully appreciate that of ourselves we cannot independently achieve good separate from its Divine Source. Previous Previous post: Buddhist idea of no self – True or not? Next Next post: Science – Does it invalidate religion?